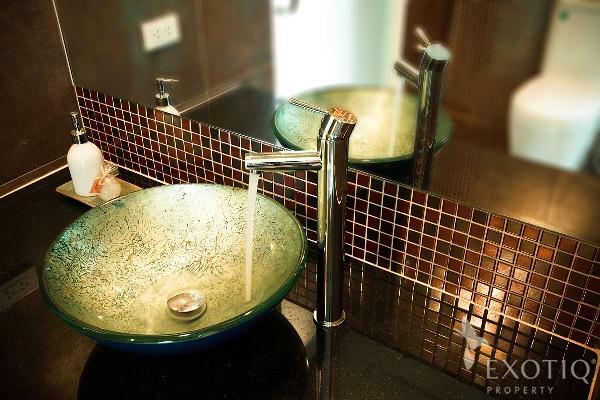 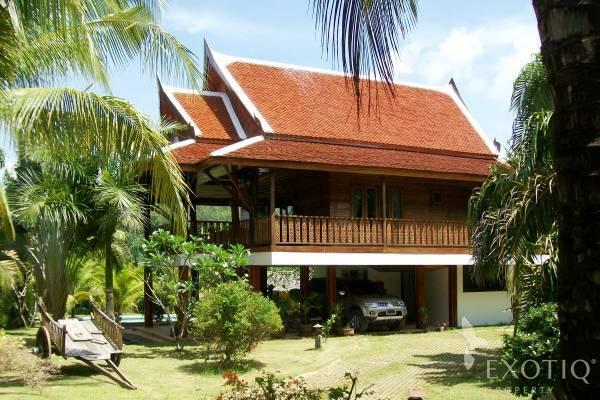 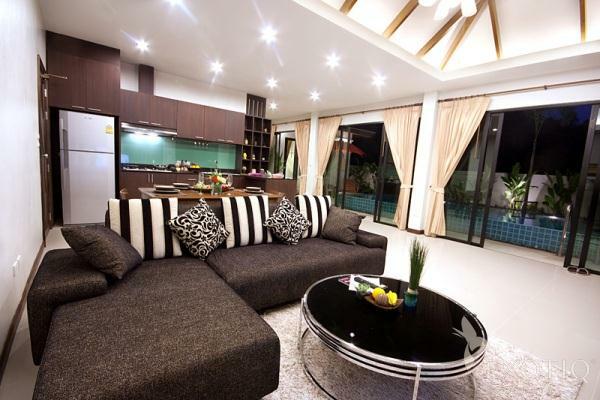 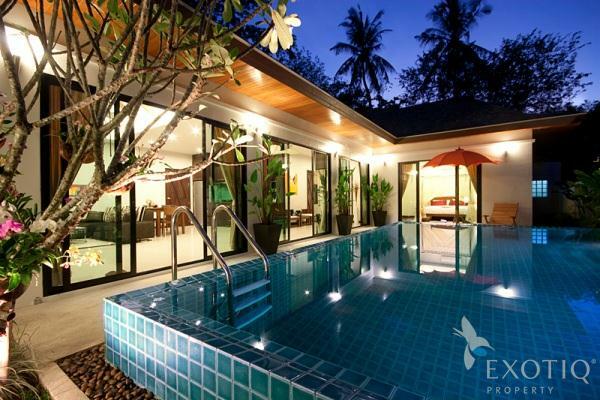 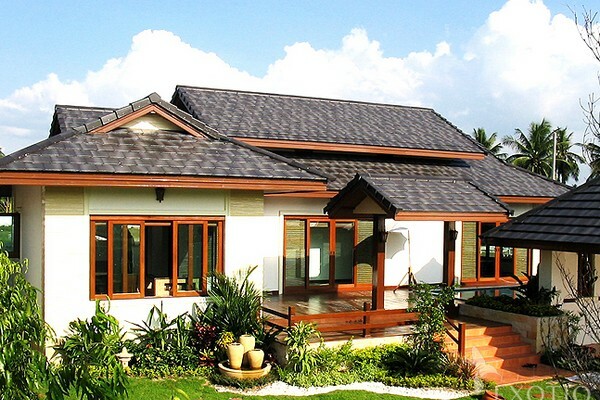 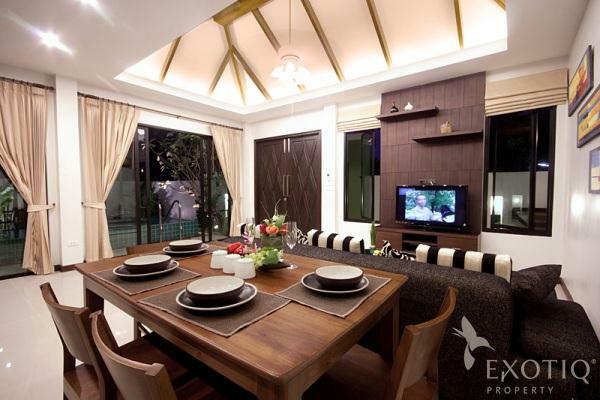 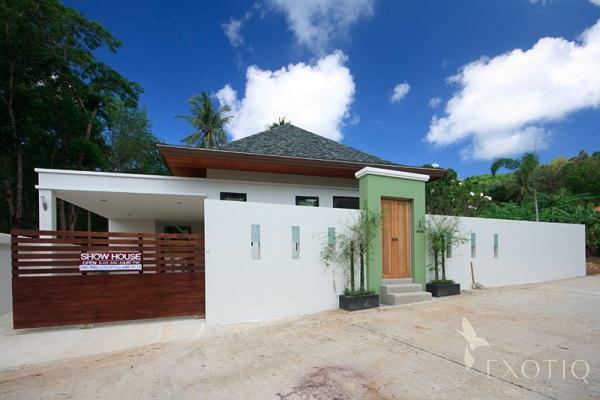 This lovely pool villa set in the tropical surroundings, just a short distance to Rawai beach and Promthep Cape where the best sunset point in Phuket, shops and restaurants and twenty minutes to Phuket town. 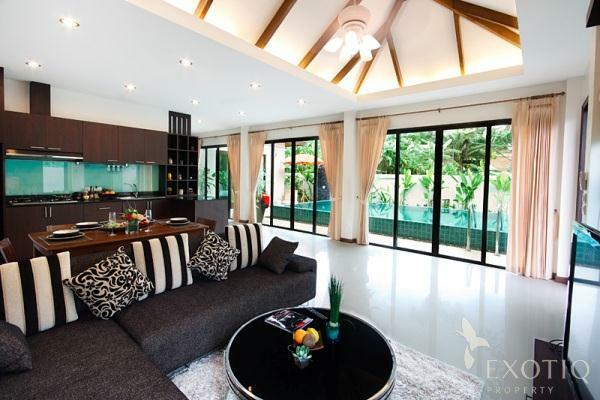 With 226 square meters on 400 square meters land plot offered 2 bedrooms, 2 bathrooms, guest wash room, nice living area, specious dining area which connected with western standard kitchen. 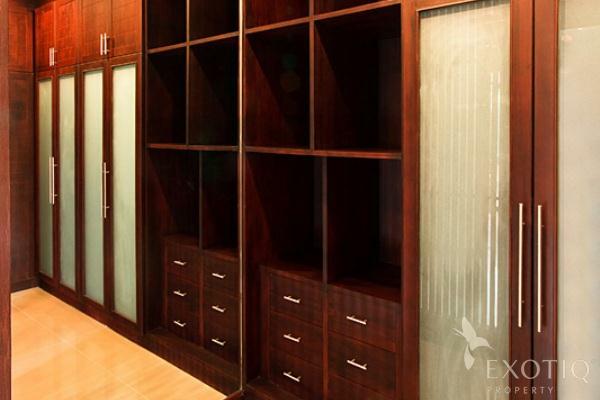 Master bedroom comes with walk-in closet and slide door lead to swimming pool with sun lounger and rain shower. 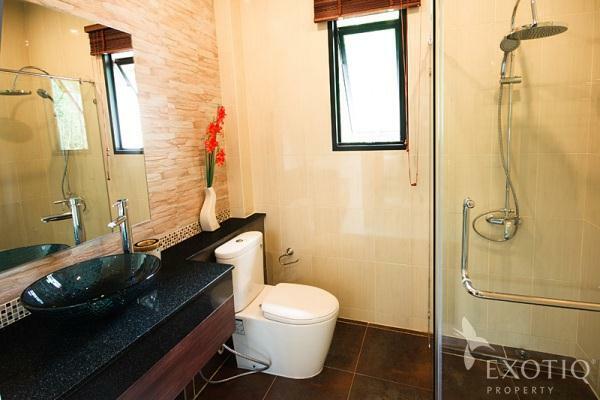 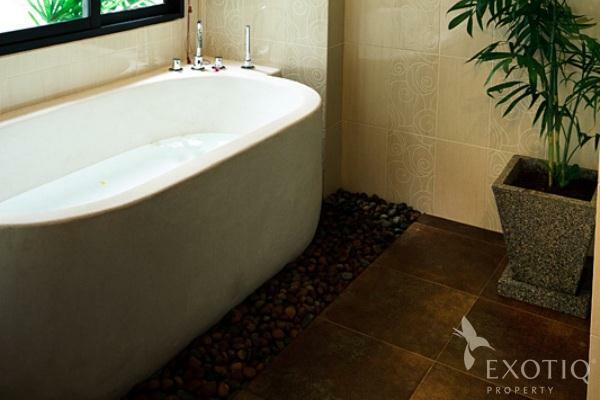 Nice bathroom provides bathtub and separate shower unit. 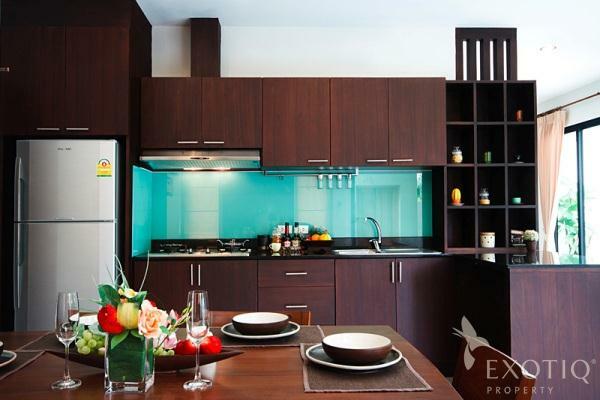 Kitchen is equipped with built-in cabinets, quality hood, hob, stove, sink and refrigerator. 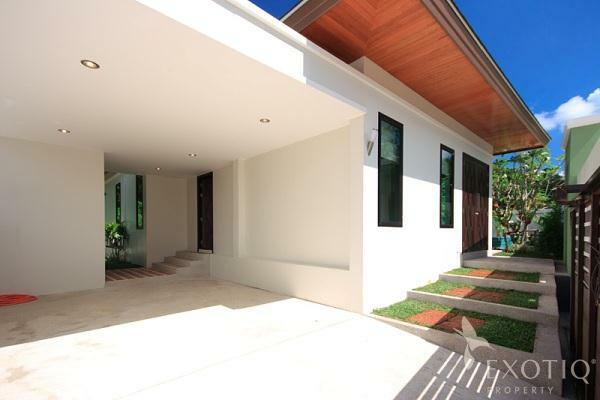 Furthermore there is on site carport, storage room and landscaped garden.